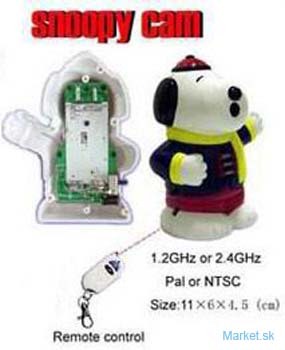 This tiny wireles spy /nanny cam hidden inside a functional snoopy with remote controll and 12 channel super Digital receiver. 2. Wireless camera system in a functional snoopy. 4. 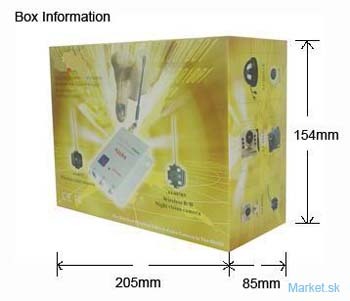 Operate with only 2pcs. AA batteries or power supply. 6. No Installation just plug the receiver on the TV / VCR or your personal computer and play.